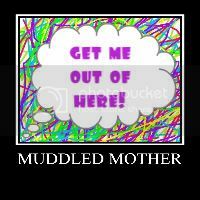 A Muddled Mother: VOTE FOR MUDDLED MOTHERS!!!!!!!! Hey Everyone! Just a quick note to share with you the good news! Muddled Mother has been nominated for Best All Around Blog for Parents.com's contest. I am so excited about this! Please help promote the blog by voting and sharing the link on your social media websites! You can vote by clicking on the Parents button above this post. If you aren't a registered member of the mag, then you'll have to do that first. I know that is a pain, but please find time in your busy day to vote. Spread the word! Thanks so much for your loyal readership Mudders!